A letter published today in the Financial Times signed by 19 economists, including BIEN co-founder Guy Standing, calls on the European Central Bank to adopt an alternative quantitative easing policy. The letter includes a call to distribute cash directly to citizens of the eurozone. 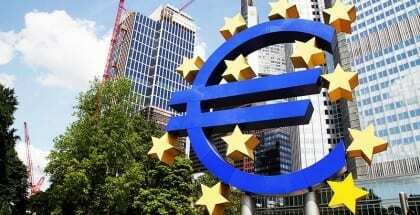 As a response to the European Central Bank’s (ECB) plan to inject 60 bn euros a month for the next 18 months into the financial system, 19 economists have signed a letter to the Financial Times calling on the ECB to adopt a different approach which they consider a more efficient way to boost the eurozone economy. “The evidence suggests that conventional QE is an unreliable tool for boosting GDP or employment. Bank of England research shows that it benefits the well-off, who gain from increasing asset prices, much more than the poorest,” the letter reads. The idea of having central banks to distribute cash to citizens has often been called “quantitative easing for the people” – a term coined by Steve Keen, an Australian economist. Although the concept of “quantitative easing for the people” and the basic income have common features in the sense that they consist in distributing cash transfers to all individuals no strings attached, a quantitative easing is usually not understood as a permanent scheme, rather a short term measure aiming at stimulating demand. Finally the solution to Eurozone economic emergency: investment and not austerity. A so delayed goal by an “error chain” of wrong economic and political decisions that led to the current political & economic crisis, despite having overcome the original financial crisis. Thanks so much to the group of economists that have had this initiative and join efforts on the path to boost Eurozone economy. Something needs to be done but I am not sure if it should be quantitative easing. Could they please write to Japan as well ? I’m tired of QE for banksters. I don’t see any money of that QE in my pocket ! This is a jest, correct? €175 per month for the unemployed? For the family man? For the homeless? For the sunk-in-debt individual? For the unpaid mortgage? Surely it’s a jest. This is what they should have done in the first place.They also need to do write downs on mortgages . Using a blockchain to pre-issue and distribute an alt-coin that becomes a future tax deduction can do the same thing now. That’s what bamstorm.us is doing. Consolidering climate warming and the existing concept of economic growth, should we ‘stimulatie demand’? Seems to me a very short termed ‘solution’ creating more disadvantages for all. I prefer basic unconditional income. Strange that Steve Keen is against the idea of linking bankers income tax to the level of unemployment, stranger that he can’t articulate any reasoning for his stanse! Anyway, though not mutually exclusive, this is a better idea or certainly a politically easier step which would have many of the same benefits; and could easily become the stepping stone to a Basic Income.